Good morning! It's another day of our sweet Korean honeymoon. 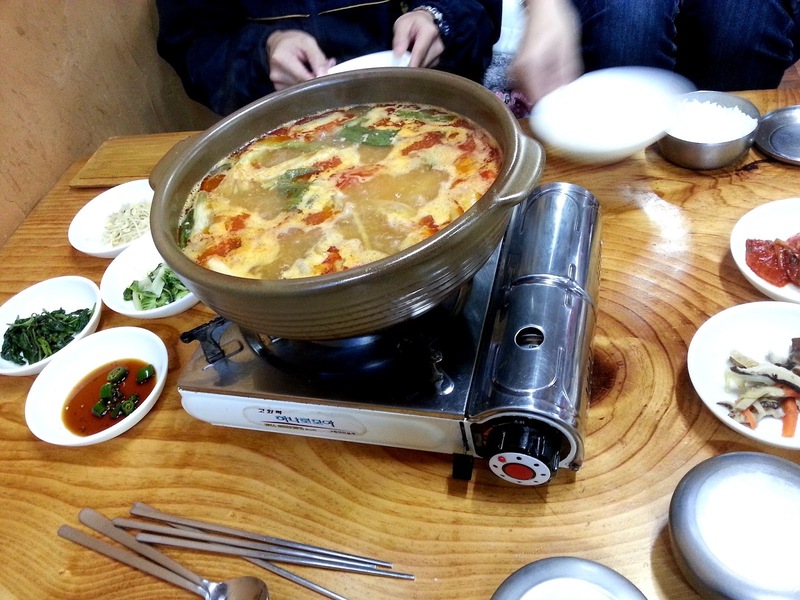 We woke up at around 5:30am to pack our luggage and had breakfast at 6am Korean time. All timing from now on will be in Korean time which is just an hour ahead of Malaysian time. This post is going to be photo heavy although I had removed 50%. 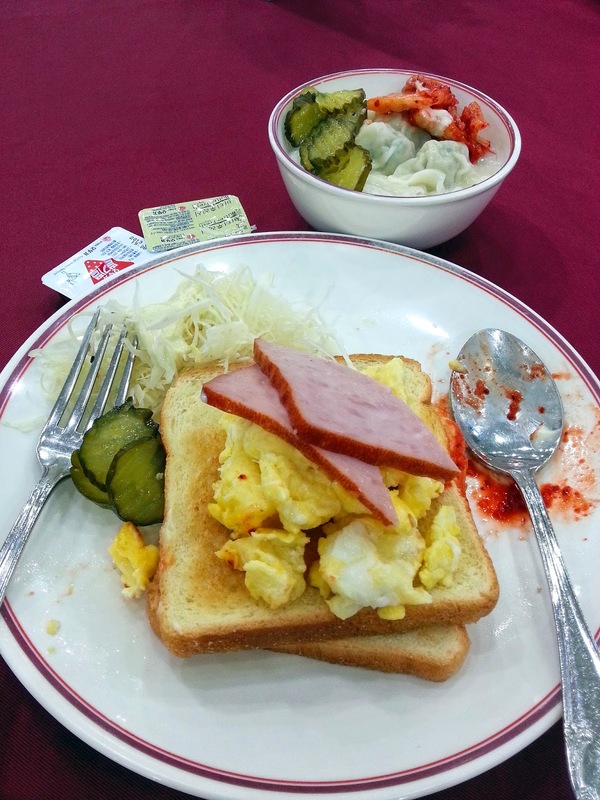 Our first breakfast with kimchi and pickles. This went on for the whole trip everyday just like Malaysian hotels serve you nasi lemak and roti canai for breakfast. As usual we had to run to our bus because it was 4°C in the morning. Brrr... 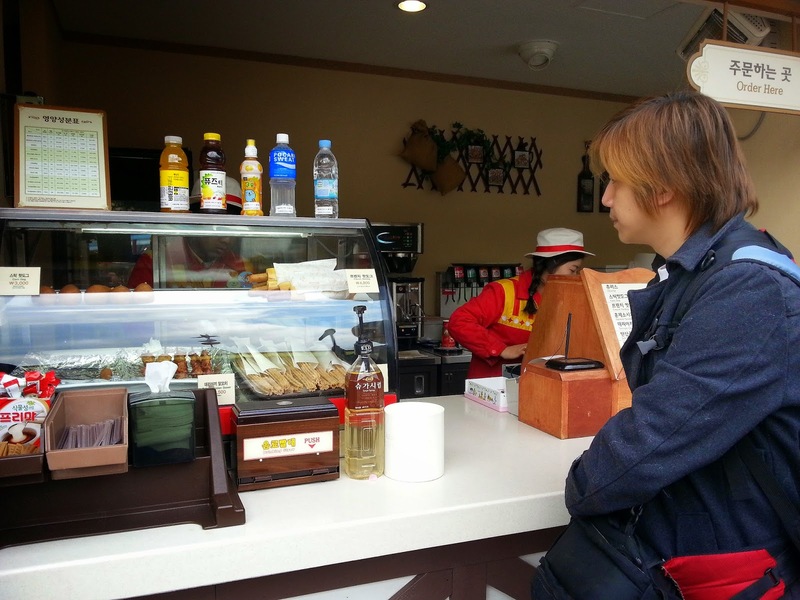 So after 3 hours and 20 minutes of bus ride from Incheon, we arrived at Everland in Gyeonggi-do. Our bus dropped us at the carpark and a free shuttle came to pick us up to Everland. It was only about 10 minutes ride. Everland is operated by Samsung Group hence you could see Samsung LCD everywhere. Gosh, would you look at the crowd! Do take the leaflets to guide your way through the themepark. One day ticket costs 44,000won and night ticket costs 36,000won. Operating hours from 10am to 10pm. Ticket booth open until 5pm only. 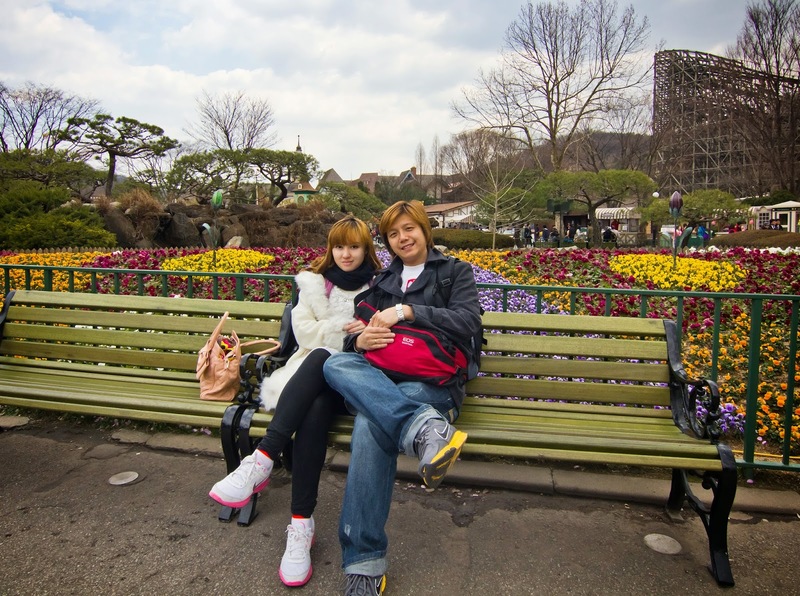 Flowers and tulips everywhere! 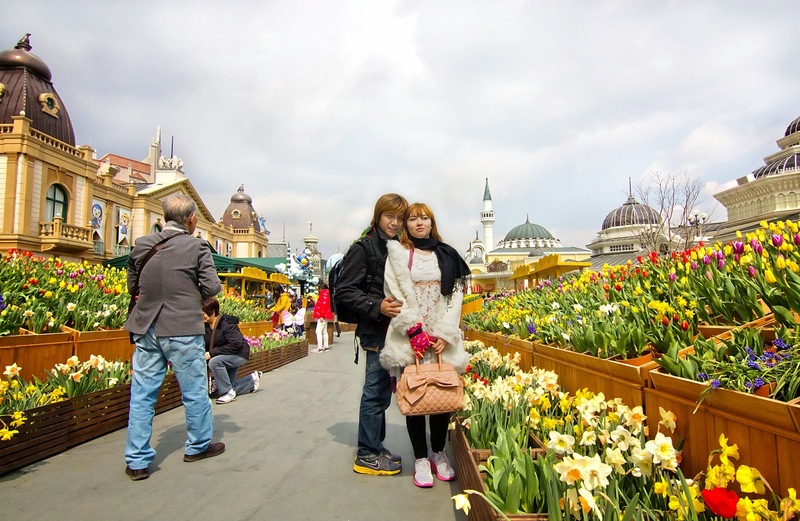 Spring is truly the best season to travel. The roller sweepers are so cool! Moreover these oppas are tall, fit and cute! We sat on this cable seat down and saw this deadly wooden coaster if not mistaken the world's largest wooden coaster. Scary! It would be like the Swiss Alps if it was snowing. Talking about Swiss Alps...December 2014 birthday trip here I come! Some attractions you might see but we only went to the 5D cinema and Safari. Up next is the Safari. Waiting time was damn long about 50mins. You get to sit on a fully closed bus when you enter the area because the wild animals run freely. If I remember the birds, hippos, rhinos and giraffes are together while the carnivors like bears, lions and tigers are at the last section. 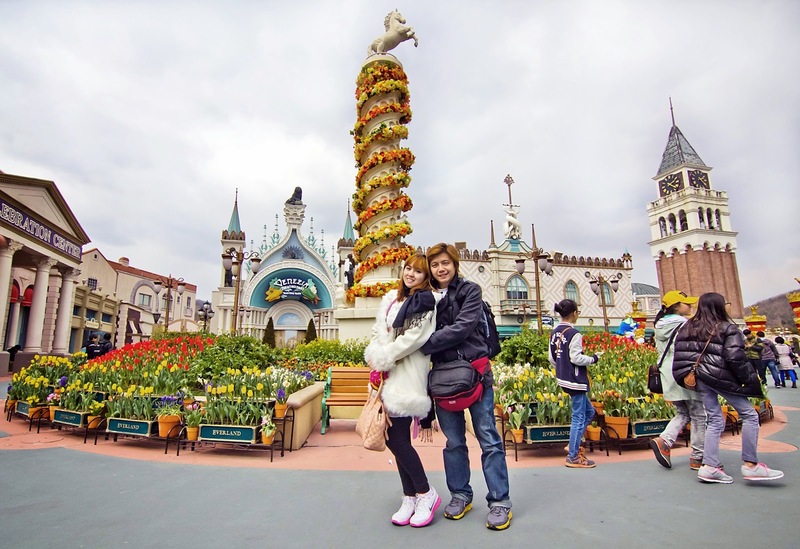 Everland's Safari is famous for its one and only "Liger", a hybrid cross between tiger and lion. It is said that Liger cannot produce offspring but on September 2012, a Liliger was born in Novosibirsk Zoo, Russia. Lazy white tigers lying down on a cold stone. This is the famous Liger. Unlike others who were sleepy heads, it was catwalking to and fro like it's a routine for tourists lol. 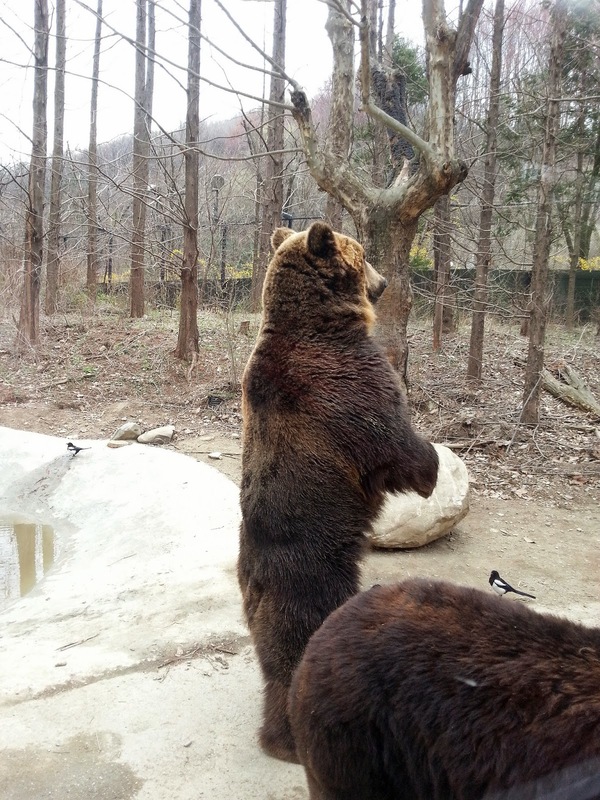 The second section consists of huge brown bears. They stood up when the bus driver called and threw food at them. We bought a simple lunch; only 2 sticks of fat sausages, 2 sticks of Teriyaki chicken skewers and a hot chocolate all for about RM60. Whoa! A ranch with small animals such as kangaroos. They look like baby fox. Couldn't resist the cuteness. The weather was cozy and relaxing so we couldn't stop taking pictures. Every corner was so pretty and wallpaper worthy. 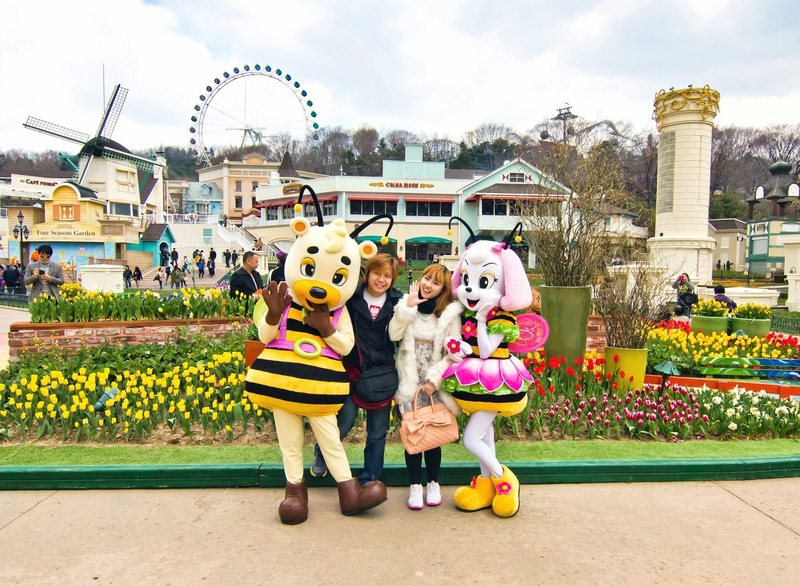 We met the Everland mascots and there's a professional to take photos for you. They really take good care of their customers. I love the gingerbread houses behind. Looks like they popped out of a storybook. We then explored some rides but all very scary you could pee in your pants even before the ride starts. More tulips and other flowers. There were so much kids but yet the flowers were untouched. I wanna touch the pretty flowers also paiseh. The blossom tree that changes deco for every season. 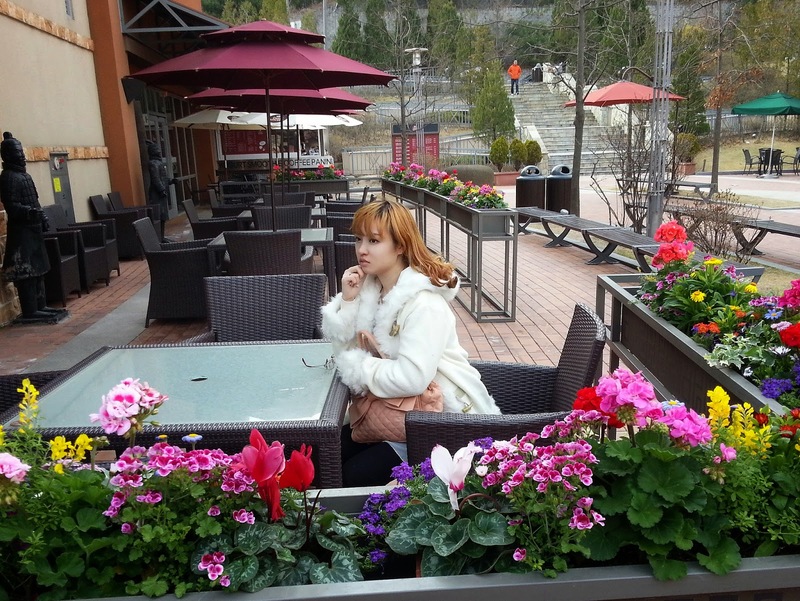 We went to Yeoju Premium outlet after Everland. Shop till you drop if you are a fan of branded stuff. Brands, brands and more brands... but not much on sale. Omo, yeapuda! On our way to dinner then hotel, we past by beautiful countryside. Our bus drove like 3 hours till it was dark and we reached a traditional restaurant in the middle of the agricultural fields. I just remembered I saw an "Odeasan" word on a sign on the way here. Well, Odaesan is actually a mountain. We had the yummiest chicken stew ever! Our tourguide gave us a mild level. The actual stew that both our tourguides ate were very red and spicy. Our bus drove through villages and we arrived at our 2nd hotel, Kensington Flora Hotel. 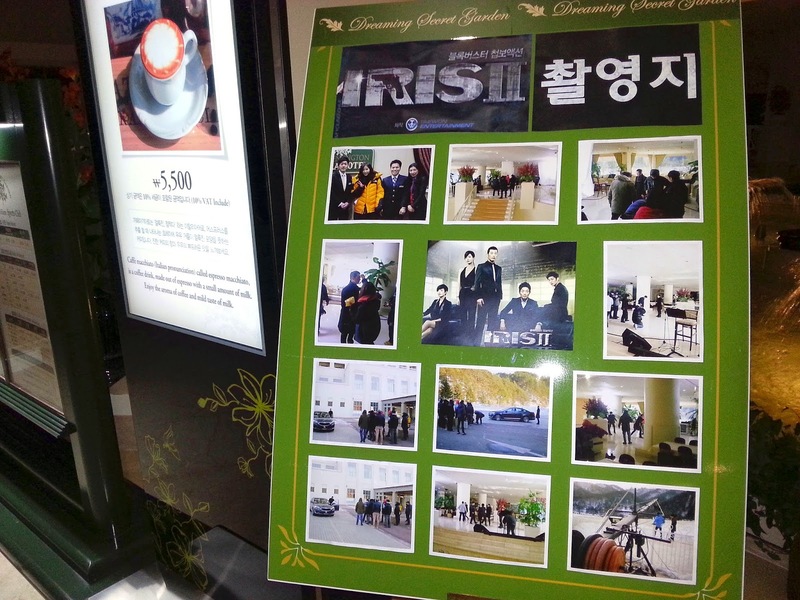 The lobby was huge and when I saw this I was like Daebak! Didn't expect to stay in a place where a Korean drama was filmed some more it's Iris II. One of the shooting scene, the grand staircase. There's a pond with just a few fish. European deco of the hotel. The bedroom was just ok but the floor was warm and comfy. There's a balcony behind those curtains. 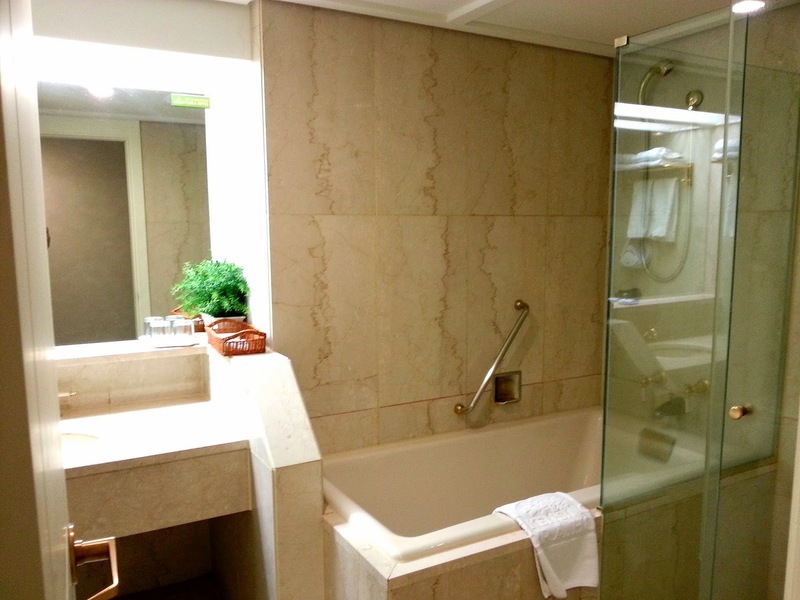 It has a nice large bathroom. Generous enough to provide Crabtree & Evelyn. Most hotels in Korea won't give you shampoo idky. 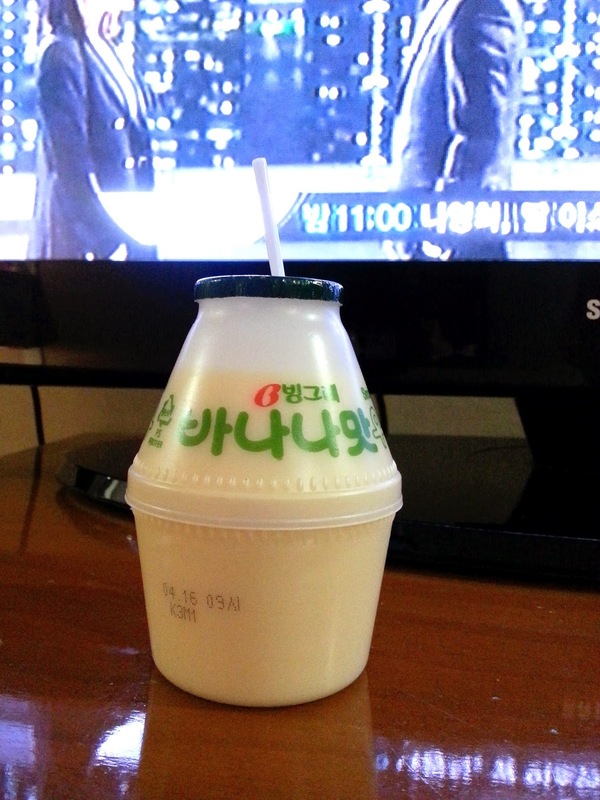 Not a night or day goes by without drinking this banana milk. Yummy to the max! Even the rooftop prince loves this. Here's a night view from the balcony. See you tomorrow where we head east to Seoraksan in Gangwon province and Jeongdongjin at Gangneung province.